Award-Winning Work: The Book of Revelation and Early Jewish Textual Culture (Cambridge: Cambridge University Press, 2017). Current Position: Associate Professor in New Testament Studies in the School of Theology, Philosophy, and Music at Dublin City University in the Republic of Ireland. Current Research Activities: Garrick V. Allen is currently writing a second monograph that explores the dynamics of the relationship between the New Testament's textual history and reception history, exploring the ways that biblical manuscripts function as unexpected sources of evidence for entrenched disciplinary questions. The Book of Revelation and Early Jewish Textual Culture addresses the theme of “God and Spirituality” by exploring early Christian attitudes toward the scriptural and interpretive traditions of early Judaism. The idiom and grammar of Jewish scripture played an outsized role in how early Christian literature articulated beliefs about God and his action in the world. It is often claimed that theological constructs like a “high view of scripture” influenced the modes of engagement deployed by New Testament writers in their allusions to and quotations of Jewish scripture, but this book argues that these processes are motivated by a more complex constellation of factors. These motivations include practical matters – access to material artefacts, the pluriformity of the text of the Jewish scripture, and operative modes of literary compositions in the late Second Temple period – that work in concert with early Christian conceptions of God and perceptions of his on-going engagement with Christian communities. The interpretation of Jewish scripture embedded in Revelation is underwritten by the idea of God’s revelatory interaction with his community and its author’s self-presentation as a prophet, combined with the author’s access to Jewish scriptural traditions in varying forms of media and linguistic registers. The practical matters of ancient literary composition and theological ideas about scripture and God are integrally connected in the Apocalypse. Award-Winning Work: The End of the Psalter. Psalms 146-150 in the Masoretic Text, the Dead Sea Scrolls, and the Septuagint (Berlin: De Gruyter, 2017). 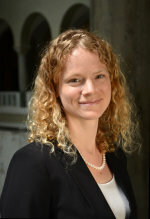 Current Position: Dr. Alma Brodersen is a Postdoctoral Researcher and Lecturer in Theology (Old Testament) at the University of Bern (Switzerland). Alma Brodersen's current research project on the origins of biblical canons focuses on the book of Ben Sira. The project studies ancient texts in different languages (Hebrew and Greek) and in and beyond different Jewish and Christian biblical canons. Overall, it questions the existence of “the” Bible in antiquity. In the Jewish Hebrew Bible and the Christian Old Testament, the Book of Psalms (also called the Psalter) contains 150 poetic hymns and prayers to God. These Psalms, written in antiquity, are used regularly in Jewish and Christian worship and spirituality today. “The End of the Psalter” studies the final five Psalms in the Psalter, Psalms 146-150, all of which call to praise God. The study analyses and compares the oldest extant sources for these ancient hymns: the Hebrew Bible in its complete Masoretic Text, the fragmentary Hebrew Dead Sea Scrolls, and the ancient Greek translation of the Hebrew Bible called Septuagint. It concludes that – contrary to current research – Psalms 146-150 are five originally independent hymns which in antiquity were not limited to forming “the” end of “the” Psalter. They show that there were, and are, many different ways of praising God. Award-Winning Publication: Living with Risk and Danger: Studies in Interdisciplinary Systematic Theology (Göttingen: Vandenhoeck & Ruprecht, 2019). 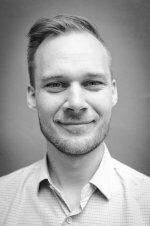 Current Position: Mikkel Gabriel Christoffersen works as an interim pastor in two parishes in Copenhagen within the Church of Denmark. 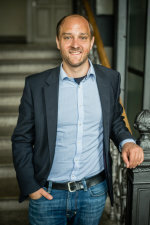 Starting in April 2019, he will employed at the Faculty of Theology in Copenhagen, working on a postdoc project funded by the Carlsberg foundation. Current research activities: Christoffersen's next research project will be on the topic of shame. The experience of shame belongs to human life; but the project investigates theological resources for understanding and living with shame between shamefulness and shamelessness. Living with Risk and Danger addresses the topic of “God and spirituality” in two connected ways. First, in the Western tradition, the concept of “spirit” often concerns the inter-human connectedness in a given culture. Living with Risk and Danger explores how contemporary human beings in Western societies live specifically with risk and danger. Second, the work connects this segment of Western contemporary culture with a Christian spirituality that emphasizes God’s triune economy of creation, consummation, and reconciliation, investigating the intersection of Christian triune spirituality and the everyday spirituality of risk and danger. Award-Winning Publication: Adoption in Galatians and Romans: Contemporary Metaphor Theories and the Pauline Huiothesia Metaphors (Leiden: Brill, 2017). 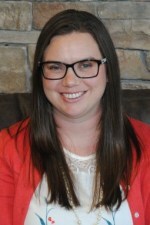 Current Position: Erin Heim is Tutor in Biblical Studies at Wycliffe Hall where she primarily teaches New Testament. Current research project: Dr. Heim is currently working on a critical introduction to Galatians and a monograph on metaphors of personal identity in the Gospel of John. 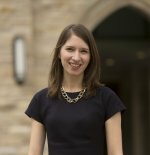 Erin Heim's book, Adoption in Galatians and Romans, argues that the adoption metaphors in Galatians 4:5, Romans 8:15 and 23, and Romans 9:4 are constructive agents that influenced the perceptions and identities of the early Christian audiences in Galatia and Rome. By gathering insights from philosophical and cognitive approaches to metaphor, she shows the various ways in which these metaphors function to structure religious experience and construct the identity of religious groups. 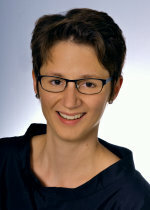 Award-Winning Publication: Bekehrungsfrömmigkeit. Historische und kultursoziologische Perspektiven auf eine Gestalt gelebter Religion. Praktische Theologie in Geschichte und Gegenwart 23 (Tübingen: Mohr Siebeck, 2018). Current Position: Senior Lecturer (Wissenschaftliche Assistentin) for Practical Theology at Eberhard Karls Universität Tübingen. I am currently conducting participant observation in care homes with nursing. Focusing on people living with dementia, I explore how gatherings in multi-functional rooms, initially open to various interpretations, are framed as taking part in a church service and engaged in accordingly. Given the fact that a considerable number of my research partners face a loss of language abilities I am particularly interested in the role practices and materiality are playing in the emergence of the situation’s definition. From this angle liturgy is more than a one-man-show. It is best described as a joint accomplishment in which people and nonhuman elements interact, thereby constituing a „mesh of orders and practices“ (Schatzki 2002, xi) which, in traditional theological language, might be called the practice of worship. My dissertation presents a theoretical framework that helps to understand processes of constructing, performing and maintaining the spirituality of conversionist milieus in which emphasis is put on on being „born again“ or having „a personal relationship with Jesus“. The model builds on both, findings from examples in Puritanism and Early Evangelicalism in 17th and 18th century New England, and conversion research in the areas of sociology, anthropology and cultural studies. Holistic in its approach, my study pictures conversionist spirituality as a social practice that builds up into pious cultures of body, emotion and meaning-making. It is meant as a starting point for further empirical research on contemporary cultures of lived religion in Practical Theology and Religious Studies, and thereby also hopes to contribute to the recovering of the Practical Theologian’s interest in the varieties of traditional piety. Award-Winning Publication: Resurrection as Salvation: Development and Conflict in Pre-Nicene Paulinism (Cambridge: Cambridge University Press, 2018). Current Research Project: My current research traces the relationship between resurrection, moral transformation, and the work of the Holy Spirit in fourth-century theology, especially in relation to the legacy of Origen and the discourse of asceticism as participation in the resurrection life. Resurrection as Salvation: Development and Conflict in Pre-Nicene Paulinism addresses the topic of “God and Spirituality” by examining the reception of Paul’s link between resurrection and salvation, according to which resurrection is the full flowering of the Spirit’s transforming work conforming the Christian to the resurrected Christ. This claim represents an innovation continuous with strands of reflection on resurrection in Second Temple Judaism, yet it is difficult to integrate with the claim elsewhere in Second Temple Judaism and the New Testament and that all, both the righteous and the wicked, will be raised to face judgment. To borrow a fourth-century formula, precisely how and for whom is the Holy Spirit the Lord and giver of life, including of resurrection life? The book offers close readings of the topic in key theologians of pre-Nicene Christianity, demonstrating the profound effect of the Pauline link between resurrection and salvation on early Christian theology – not only eschatology, but also anthropology, pneumatology, ethics, and soteriology. Award-Winning Publication: The Mimetic Life: Imitation and Infinity in Gregory of Nyssa (forthcoming). Current Position: Lecturer in Religion at the University of Massachusetts Boston and Visiting Scholar at the Center for the Study of World Religions at Harvard Divinity School. 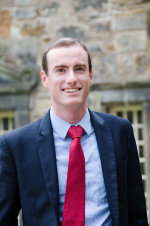 Dr. Motia is currently working on transforming his dissertation into a book and beginning work on a second project tentatively titled Spaces of Late Ancient Theology, which explores how Early Christians and Neoplatonists imagined the divine through newly formed spaces such as the hospital, martyria, book, or monastic cell. How do you imitate what you cannot know? The Mimetic Life examines Gregory of Nyssa’s writings as they participate in and shape the theological, philosophical, and ascetic debates in late antiquity about both what to imitate (the names, spaces, and characters that entice readers to become imitators of God) and how to imitate (the structures of desire, theorizations of participation, and practices of representation required for a virtuous life, defined as imitation of God). I show how Gregory theorizes practices of mimesis in which humans imitate an infinite God not by becoming like a fixed object but by infinitely expanding their souls’ love of God, endlessly growing toward an endless God. The infinitude of God and, as imitators of God, humans raises broader questions of how we can be responsible to one another while insisting that we are also mysterious to each other. Award-Winning Work: Poetik der markinischen Christologie. Eine kognitiv-narratologische Exegese (Tübingen: Mohr Siebeck, 2017). My current research project investigates the rise and expansion of Christianity in the city of Rome and ist hinterland in the first two centuries. It focusses on the formative stage of emergent Christianity, concentrates on its peculiarities as an urban phenomenon, and applies a fourfold repertory of methods: theories of emergence, social network analysis, cultural narratology, and social identity theory. It combines the descriptive task, i.e., model-based application of theories, with the historical task, i.e., exploration of literary evidence as well as the local documentary, numismatic, archaeological, epigraphic and iconographic evidence. How can one grasp or even describe and narrate “what no eye has seen, what no ear has heard, and what no human mind has conceived”? (2Cor 2,9)? Reading the New Testament as a cultural and religious witness of early Christianity, one is impressed by the dynamics that underlie the earliest traditions and literary attempts, to word the new faith and life in Jesus Christ. This applies all the more, if one considers that the application of the (Old Testament) Kyrios-Title to the risen Christ does not mark the end of a long doctrinal development, but rather forms the starting point for the development of different Christologies in the New Testament and other early Christian writings. Despite scholarship’s major interest in Mark’s Christological titles, surprisingly little has been done on the Kyrios-Title and Kyrios allusions in Mark. Thus, many scholars point out that Kyrios is only used sporadically in Mark’s narrative. Contrary to this opinion, my study illustrates that the author of Mark’s gospel frequently and through different narrative techniques alludes to the Old Testament Kyrios-Figure. Award-Winning Publication: Poetic Ethics in Proverbs: Wisdom Literature and the Shaping of the Moral Self (Cambridge: Cambridge University Press, 2015). Current Research Project: Dr. Stewart's current research project examines imagination and moral reasoning in Israelite wisdom literature. This monograph will explore the kind of moral thinking that unfolds through the poetry, pedagogy, and theology of Proverbs, Job, and Ecclesiastes. It assesses the way in which imagination is central to ethical evaluation and provides a reference point for evaluating the wisdom tradition as a whole. My work argues that the book of Proverbs presents a remarkably sophisticated response to ethical questions about the shaping of moral character in accord with divine wisdom. For the sages of ancient Israel, the quest for wisdom is first and foremost about one’s posture before God, for “the fear of the Lord is the beginning of knowledge” (Proverbs 1:7). Proverbs addresses the myriad factors that impede or foster the shaping of the moral self as one makes one’s way in the world. In fact, the book gives an astounding degree of attention to the desires and emotions that animate human action in an effort to shape one’s moral imagination. It describes and enacts multiple means of knowing about God and the world, by way of desiring, loving, hating, tasting, hearing, and, even smelling. Proverbs thus demonstrates a profound appreciation for the complexity of human psychology and spirituality, and it views this as a valued and inevitable part of pursuing the wisdom of God. Award-Winning Work: Prayer after Augustine: A Study in the Development of the Latin Tradition (Oxford: Oxford University Press, 2018). 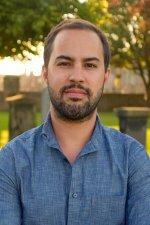 Current Position: Dr. Jonathan D. Teubner is Research Fellow at the Institute for Religion and Critical Inquiry, Australian Catholic University. In 2019-2021 Dr. Teubner will hold an Alexander von Humboldt Research Fellowship at the Humboldt Universität Berlin, where he will research the influence of Adolf von Harnack on American theological education in the 20th century. Dr. Teubner is currently working on a book-length project on medieval political Augustinianism, tentatively titled Charity and Violence: Medieval Political Augustinianism in Conflict. Prayer after Augustine: A Study in the Development of the Latin Tradition (OUP, 2018) addresses the topic of God and spirituality by arguing for the centrality of prayer in the formation of the Augustinian tradition. Using a rich mixture of theology, philosophy, and practice, Prayer after Augustine charts how Augustinian ‘Christian existence’ undergoes variant re-constellations in the works of Boethius and the Rule of St. Benedict. Through an Augustinian orientation of prayer, Boethius and Benedict integrate non-Augustinian sources, drawn mainly from Greek philosophical and monastic traditions. This in turn enables them to expand and enrich their reflections on the nature and practice of prayer and how the supplicant is transformed through the life-long task of living sub specie orationis. Reconceiving the Augustinian tradition through prayer unveils a theologically and morally rich understanding of tradition that emerges from creative variations of a shared set of resources, thereby overcoming received disjunctures in the historiography of tradition.